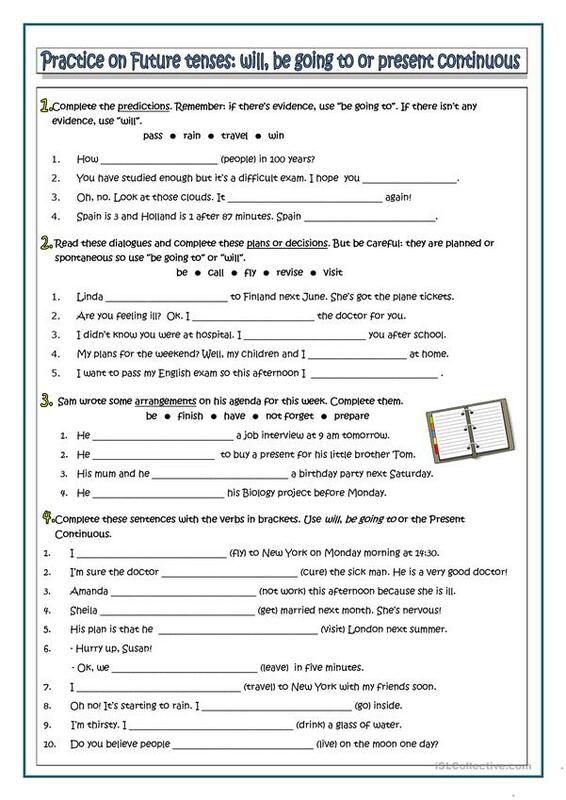 Two pages about a basic grammar point that consist of some teacher's tips to help the students to choose the right future form: will, be going to or present continuous; and some exercises to practice. The present downloadable printable is a great resource for high school students and adults at Pre-intermediate (A2) level. 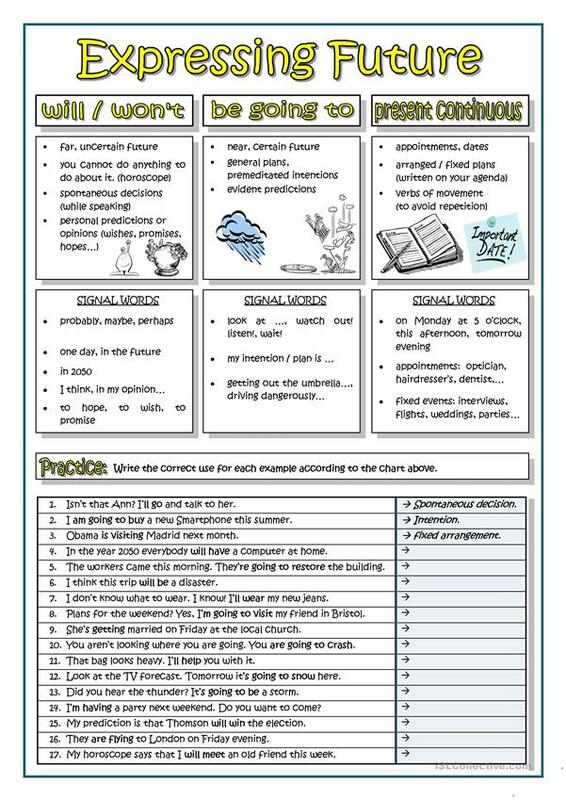 It is great for consolidating Future tenses in English.